There are 789 giveaway key(s) left for this giveaway. You must log in to get a key. Cardmon Hero is the English version of Camon Hero. Discover the Guardian of the Aria continent and experience unlimited card summoning action! This is the ultimate card collection and summoning MMORPG! 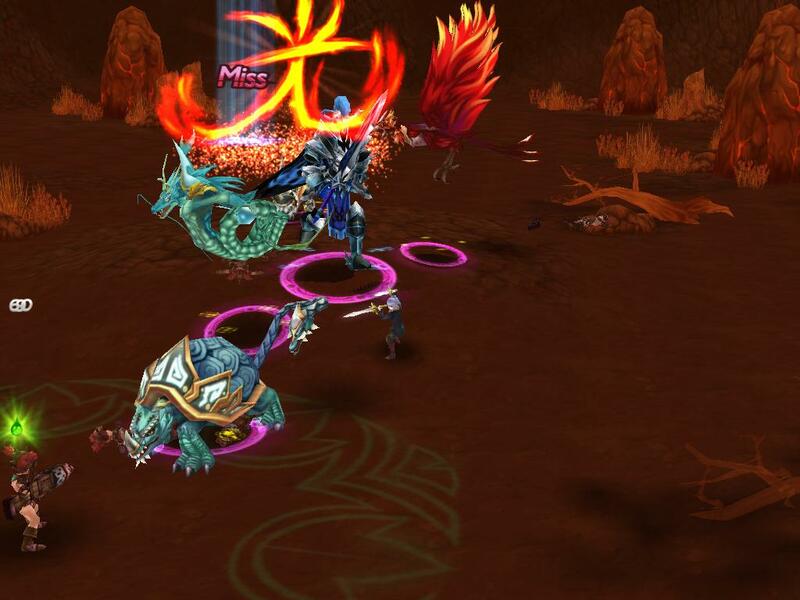 Unlike a lot of other MMORPGs out there, Cardmon Hero doesn't exactly force you to conform to any one specific class. Items and abilities that you can equip are governed by your character's statistics. It's very possible to alternate between being a spell caster or a physical damage dealer provided you have sufficient stat points to equip the relevant weapons/gear for the class. Fans of instance dungeons will be pleased to know that there are plenty to choose from in almost every zone. Each one has varying levels of difficulty that can be set by players prior to entry and the lower difficulties can actually be soloed if you have a few good mercenaries by your side. Rewards are, as expected, better if you choose to tackle the ones on harder difficulty settings. There's also level segregated PvP and the game will make very sure you know of its existence through the incessant announcements near the top of the screen. Aside from the stuff mentioned above, Cardmon Hero's main gameplay feature revolves around being able to summon a personal army of mercenaries to fight alongside you. This is done via the use of 'cards' that are either crafted, purchased from the game's vendors or dropped by monsters you defeat. There are around 100 unique mercenaries in the game, each with their own special abilities and they'll assist you in combat by buffing you, healing you or attacking your enemies. Similar to RTS games, there is a 'population-cap' that limits the number of summoned mercenaries that can be active at any given time. All mercenaries you summon will also have a timed lifespan, with some lasting as short as a minute and others as long as 3 minutes. Recharge timers for mercenaries will always be longer than how long they stay active by your side, so it really helps to have a large variety of cards at the ready to cycle through. Whilst running through the game with my entourage, I found it incredibly easy to plow through all the monsters on my hit-list with 5 or so other fellas tagging along. Combat was chaotic, as my mercenaries were unleashing abilities all over the place and enemies would be keeling over faster than I could even select them. The game gives you a few commands to instruct your personal army as to whom they should attack, or whether they should cease their current actions, etc. I found these to be unsatisfactory as there is no way to directly control the skills they used and whom to use them against. Some mercenaries also tend to use AoE attacks frequently, often resulting in a lot of unintended aggro from monsters that weren't my intended targets. As if things weren't interesting enough, my mercenaries would sometimes attack monsters on their own without any instructions from me. This was an irritatingly frequent occurrence and I really dreaded the moments when I had to run through a large group of docile monsters with a bunch of summons in tow. Everyone in my entourage would feel the need to express their violent tendencies by stopping right in their tracks to attack anything within their aggro range. Comment: I like this game and i like card games,there are a lot of fun elements and i can only say the graphics are dated. I rate it 8/10 :0. Comment: Fun game with fun elements. Comment: A good game, but I can only say the graphics are dated. Comment: MMO games with not very good graphics but unique and engaging gameplay wins everytime. Comment: This game is pretty fun if you have nothing else to do, I have to agree with Supernatural, the graphics do seem sloppy and outdated...none the less though, its still a fun game...6/10. Comment: Cardmon Hero looks like some anime based mmos, but it's graphic is kinda outdated and sloppy... There are very few options in game and graphic configurations... The game itself is kinda fun, standard mmo-gamestyle with unique card system which makes it fun and different from other MMO's. The cool option is that u can have command of multiple characters at the same time. I will rate it with 7 because graphic is really bad. Comment: CardMon Hero is a cute and cool game. It has a unique "pet" system where you summon monsters using cards. What made me like the game is the card collection system because it is an achievement if you are able to collect all cards. Comment: The game is not working. Comment: Looks pretty good i must say. I give it a 10.0 because it looks fabulous. I hope this game is what is looks like!